Newly listed, this stunner by JODI Development was a pleasure to work in. The overall aesthetic of the home allowed us to indulge our contemporary sweet tooth. 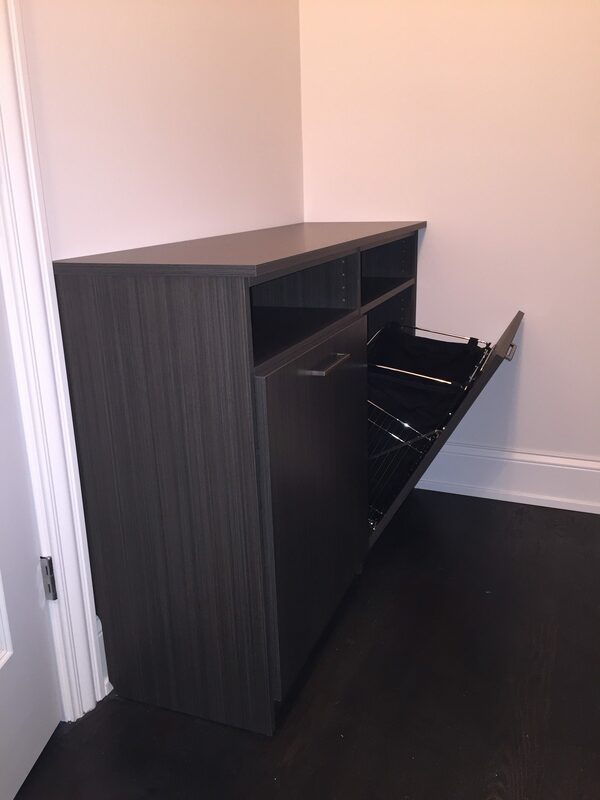 A Winter Fun finish and matte black pulls set the tone for this refined, modern look. 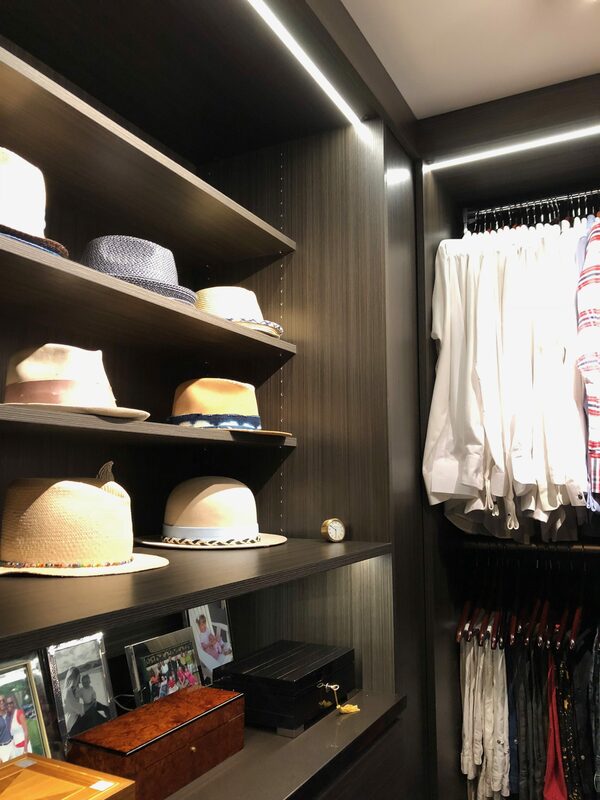 Just outside the walk-in, lives a master hallway featuring a six-foot-tall wall of closets with flat front doors. View the entire home by following this link: 1304 W Nelson marketed by Karen Ranquist. 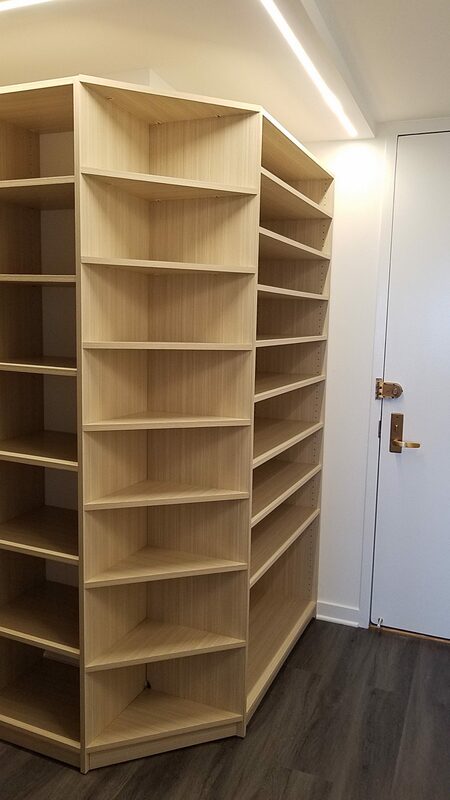 Check out this custom designed corner wrapped shoe tower in Summer Breeze. 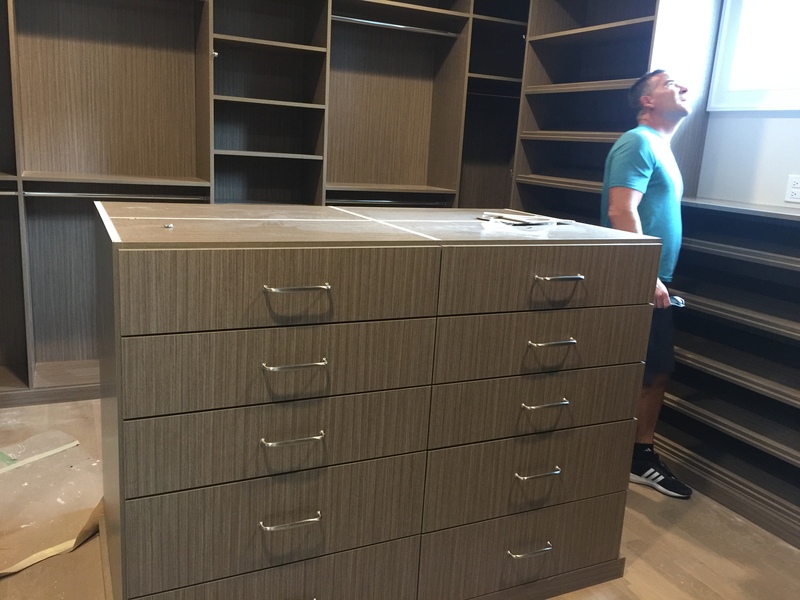 This project allowed us to create a functional and visually appealing storage solution for our client. Do you have a vision or two you're not sure how to execute? Engaging with customers that have unique needs and bringing ideas to life is what keeps us young over here. We're happy to hash it out with you and offer some creative tips along the way. 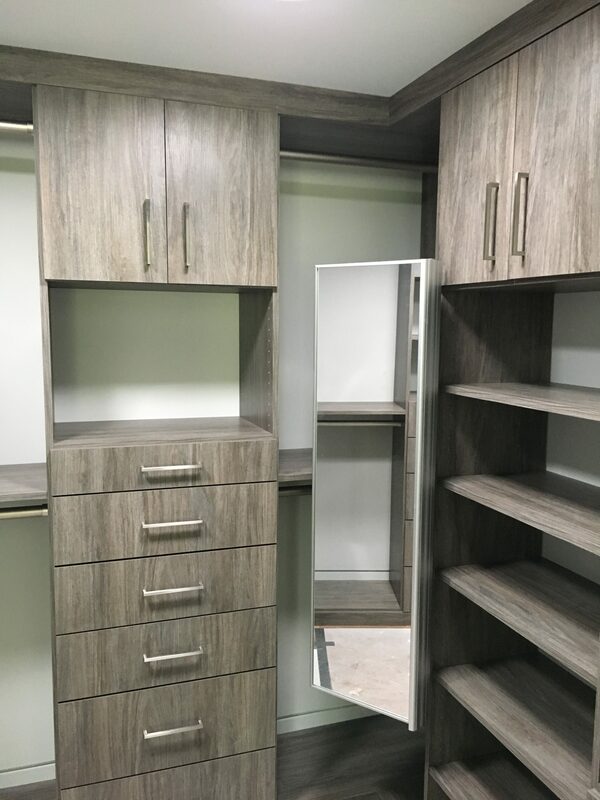 Finished in Stargazer, this project in Wheaton includes a mirror with an hydraulic hinge making it a breeze to pull out or tuck away. 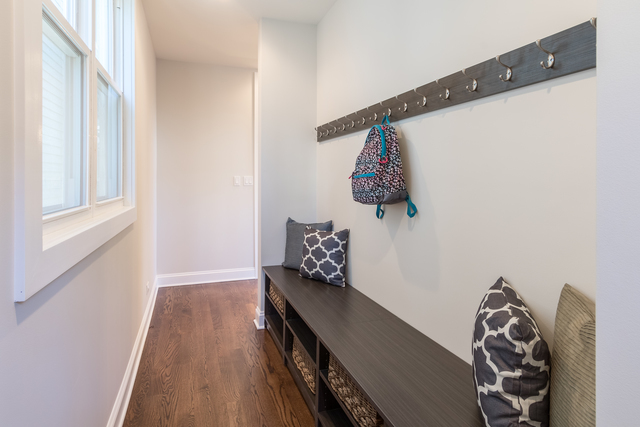 Outstanding nearly 6000 sq ft one level condo in the south loop overlooking Grant Park. Stunning views & finishes! 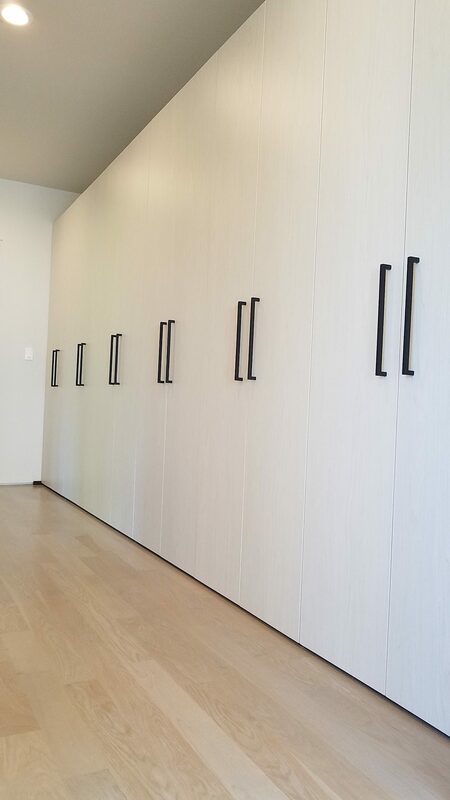 Unit features our floor to ceiling custom closet systems finished in Spring Blossom with backing and trim. For more pictures see link to the property listing: 1201 S Prairie 2301. 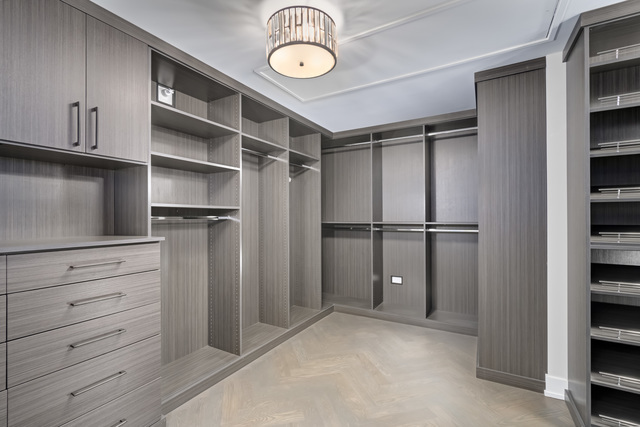 Nicely finished rehab by Eighty-Eight, Inc. on Pearson Street in Streeterville. 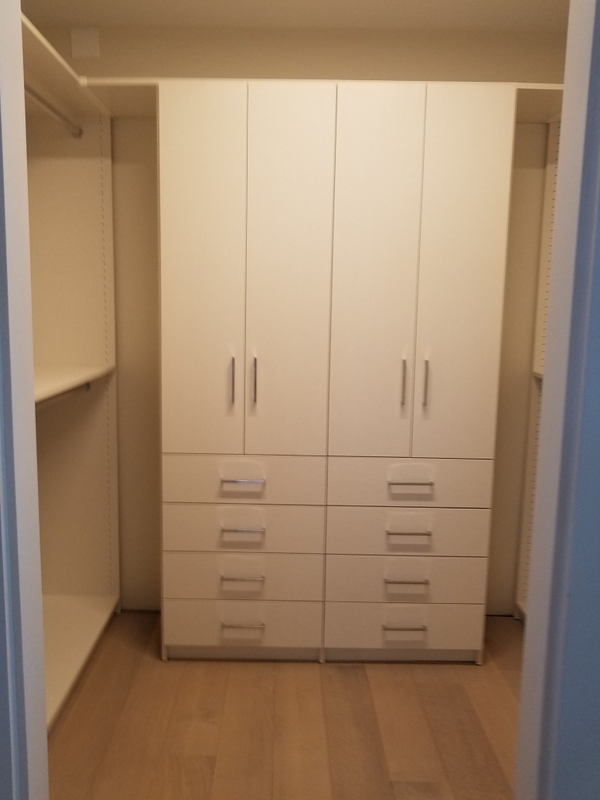 We finished this closet with shaker style fronts, and top and bottom trim. 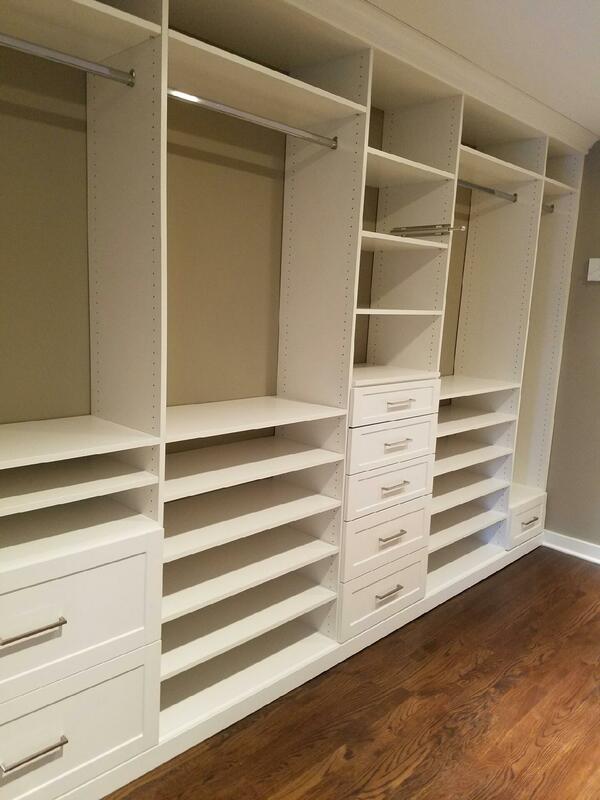 The pre-painted closet made the white finish pop.